Whilst Power BI is considered to be the best self-serve reporting tool in the market, it is often criticised for its lack of governance. Many organisations are seeking the Nirvana of self-serve and enterprise reporting, but in reality, they are left with a completely unstructured, poorly governed strategy. 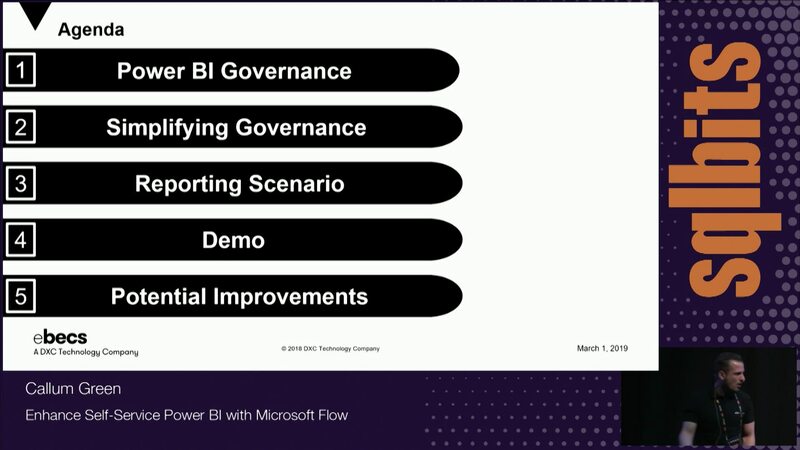 Poor governance actually has nothing to do with Power BI. Yes, Power BI files and datasets do not play nicely with object driven source control providers like GitHub, however, DevOps is not just about code automation. Let’s think about the process of report deployment and simplify our problem. The 1-hour session focuses on a specific customer who wanted a process to create, edit, and manage their content – without the danger of un-validated reports being published into a Power BI production app workspace. The Demo includes services such as Microsoft Flow, Power BI and Outlook, working collaboratively to improve end-to-end reporting governance. Audience participation is encouraged throughout.